Ogilvy worldwide chief creative officer Tham Khai Meng (pictured) has been let go from the role with immediate effect. The move comes on the back of internal company investigations which saw Tham violating company policies after employee complaints surrounding his behaviour. In an internal memo seen by Marketing, Ogilvy worldwide chief executive John Seifert added that the complaints were major enough to employ legal counsel for investigation. After reviewing the findings of said investigation, Seifert and agency partners found Tham’s behaviour to be “a clear breach of [its] company values and code of conduct”. “This is an important moment to reaffirm that no individual in this company is too senior or too important not to be held accountable for their actions,” the memo added. 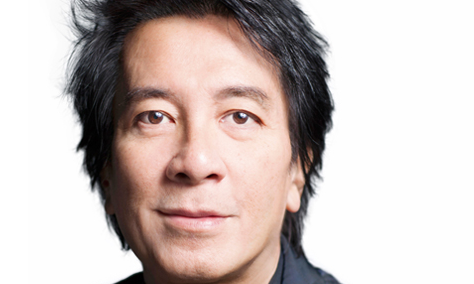 Tham first took on the role as worldwide creative director and chairman of Ogilvy’s worldwide creative council in November 2008. According to his LinkedIn, he has held the global chief creative officer role since 2009. Prior to the move, he was co-chairman and regional executive creative director for Ogilvy & Mather Asia Pacific since 1999. He currently serves on the boards of Facebook Creative Council, Miami Ad School, Future of Storytelling, and Twitter Advisory Council. Marketing has reached out to Ogilvy for comment. Ogilvy most recently promoted executive creative directors Melvyn Lim and Nicolas Courant to co-chief creative officers. They will continue to support Ogilvy’s ambition to produce work that makes brands matter and has local impact and global influence. The duo replaces Eugene Cheong, chief creative officer, Ogilvy Asia, who will focus on his regional role and ensure that the creative agenda remains aligned and at the forefront across Ogilvy’s 30 offices in 18 Asia Pacific countries. Cheong will continue to be based in Singapore, playing the role of advisor and mentor to the new CCOs. This year, the agency brought together its three distinct units of OgilvyOne, Ogilvy & Mather Advertising and Ogilvy Public Relations under a single, unified group with a common identity, positioning, client service model and P&L. The unified group, which includes a new organisational structure and brand identity, also includes various company sub-brands and specialty brands. American denim brand American Eagle Outfitters has appointed TBWA’s Digital Arts Network Hong Kong to lead and expand its social m..